Are you moving to Panama? Or thinking of moving here? Then you should check out these 22 essential tips. The tips cover everything from should you move? to what cell phone apps to download. 1. 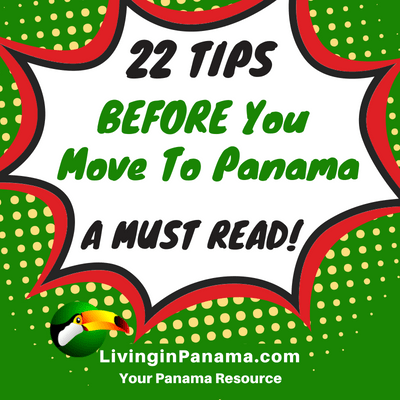 First, before you move, determine if Panama is right for you. To discover that, you should be clear on what you need to have in your life? What are the most important things to you? What will help make for a happy life? Going out to the theater, to the movies? Having friends that speak English? Seeing old friends and family? Being close to the beach? 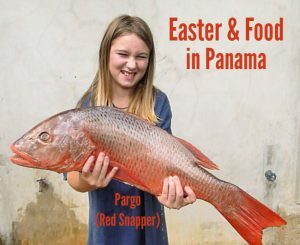 If you go ballistic when the Internet (or electricity) is out and you cannot imagine life without readily available organic food or same day Amazon deliveries, you may need to rethink your desire to move to Panama. Be honest with yourself. There are many wonderful places you could choose to live. It doesn’t have to be Panama. Take our “Will Panama Make You Happy?” quiz to get a sense whether Panama is right for you. 2. Are you and your spouse/partner and/or kids on the same page? Your spouse’s ideas about what he or she is looking for may surprise you. Your kids will be happier with the move if they feel you really listened to their thoughts and concerns. For a successful move, it is best to quickly get everyone involved in the decision process. 3. Manage your expectations. If you expect a trouble-free paradise, you will surely be disappointed. No place is perfect. No climate is ideal. No place is 100% crime-free. 4. Do you dream of finding a life partner in Panama? You may find one. But keep in mind, if you marry a Panamanian, there will be cultural and language challenges. For instance, when you marry a Panamanian, you are also marrying his or her family. 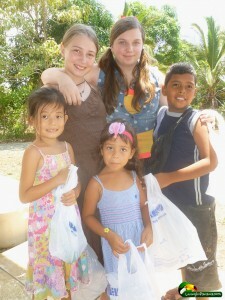 Family is of paramount importance in Panama. Family members typically spend their Sundays together – all day. There is little buffer for cultural differences when you marry into the culture. The differences will be in your face, every day. To be happy, you will need to become accepting and tolerant very quickly. Also, you should beware the Sugar Daddy/Mommy situation. That arrangement usually never ends well. Successful Panamanian/Expat marriages can happen. I know a few expats who have been happily married for many years to locals they met after they moved here. But I know even more in which it was a disaster. Of course, you may also meet a compatriot while in Panama and fall in love. Then you will encounter all the joys, trials, and challenges every relationship offers. 5. Panama is a different culture and lifestyle. The lifestyle issue is especially hard for Americans to come to terms with. The specific lifestyle issue I am taking about is convenience and customer service. If you are from the States, you are used to a level of convenience that no other country on earth offers. For example, many stores in Panama (and in many places in the world) are closed on Sundays. Also, in Panama and many other places, government offices close for lunch and many holidays. The entire country of Panama took the day off when the national team qualified for the 2018 World Cup. You need to get used to stores and offices being closed at inconvenient times. Panama’s businesses are not set up to make the customer’s life easier and more convenient. It is something you need to get used to and plan for. Along those same lines, keep in mind that in Panama (and other places in Latin America and elsewhere) appointments and schedules are simply a goal, not a firm commitment. Expect to wait – not only to wait, but to wait without being annoyed about waiting. Would you buy a piece of real estate under those circumstances back home? A piece of property you are seeing for the first time, in a place you have never been to before? You need to do more due diligence when investing in a piece of property in another country – not less. 7. 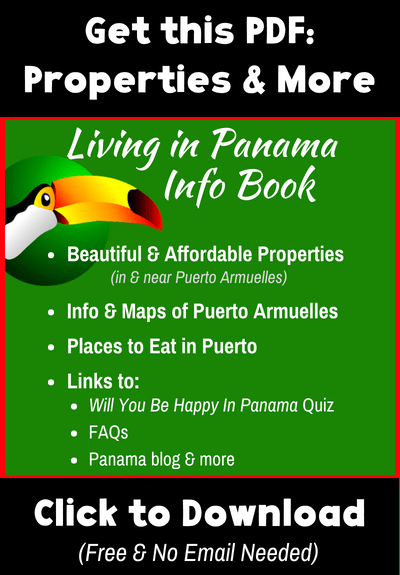 Speaking of buying property, there is no MLS in Panama. (Well, Panama technically has something called an MLS, but since the vast majority of property for sale does not appear on it, it does not function as an MLS as you know it in the States). In fact, only a handful of real estate markets outside the States have effective Multiple Listing Services. This means that your property search will not be very efficient, and that getting reliable information on comparable properties will be impossible. 8. Rent first. Don’t buy property until you have made sure Panama is the place for you (and your companions). Even if you decide Panama is the right place for you, you may decide that a different area or neighborhood is a better fit. Renting gives you the time and flexibility to figure that out. 9. Panama might not be as affordable as you’ve heard. Where you live and how you spend will determine how affordable Panama is. For instance, Panama City used to be affordable, but not anymore. Like most major and popular cities in the world, living right on the water or downtown in Panama City can cost a lot. Expect to pay at least $1,200 to rent a decent place in the city (and that’s on the low end). In the high rent areas, your utilities and grocery costs will probably be more than you are used to paying back home, especially for items that need to be imported. This doesn’t mean you can’t retire to Panama on a shoestring budget. You absolutely can. You just have to know how to do it. In most places in Panama, it is still very possible to rent a place for $200 – $500 a month. You can live well in many places in Panama on only $1200 a month. But you cannot do that in Panama City and it is harder to do in the more popular expat spots as well. 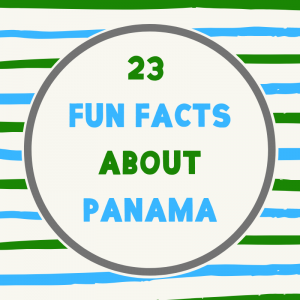 How and what you spend your money on also determines how affordable Panama is for you. See the next tip for more on that. You can find more information on Cost of Living in Panama in various parts of Panama on my site and other places. 10. To save money you need to buy local brands. You have to learn to shop like a Panamanian. This means buying your fruit and vegetables from street venders. Not only will you save money on your produce, but it will be fresher. If you live in a small town where fishermen bring in their catch each morning, buy your fish off the boat, or at the local fish market. Again it is both cheaper and fresher that way. Watch our video of buying fish off a boat in Puerto Armuelles. If you insist on buying all the same food brands as you bought back home, you will pay more. Imported items cost more, more than they cost in their country of origin. Also, Panama is not like the U.S., there is no Target or a Walmart where you can buy everything you need in one spot. You can do a lot of your shopping in places like City Mall, El Champion, and Discovery Center, where a they sell a wide variety of items. But you pay for that convenience. You may buy some items at PriceSmart (like Costco, but smaller), but other items at your local Romero grocery store, and still others from a street vendor. If you learn what to do and what not to do, you can live well in Panama on a fairly low budget. Plus, you now have the time to enjoy the shopping experience. 11. Another thing about shopping, buying in bulk often costs more in Panama. In the States, if you buy a case of something, the per unit price will usually be less than if you simply bought one of those items. But not in Panama. (The exception to that rule is PriceSmart, usually, but not always). I am not sure why. Perhaps the reasoning is that the person who can afford to buy in bulk can also afford to pay more. I know you might be shaking your head at that rationale. But Panamanians think about money and fairness very differently than most westerners. One of the many cultural differences you will get to know and, hopefully, embrace. 12. Your health insurance won’t cover you once you leave the U.S. (and most other countries as well). Don’t worry, you have options. Go to this link to start reading our series on health insurance in Panama. 13. Learn Spanish. Start now. 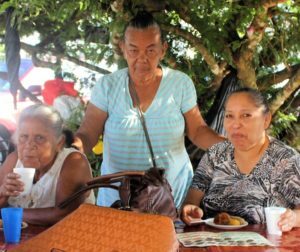 Most Panamanians do not speak much English, if any. Yes, you can find English speakers at high-end hotels and tourist places, but in general you will not find much English spoken elsewhere. If you don’t speak Spanish, at least some Spanish, you will not only be frustrated, but you won’t be able to engage in the community and make friends with anyone but other English-speaking expats. Panamanian are wonderful people. It is worth the effort to learn to speak their language so they can be part of your life. 14. You will regret your move – temporarily. There will come a time when you will frantically ask yourself, “What have I done! I must have been insane to leave my home and move here.” It happens to 98.7% of people who move overseas. Expect it and prepare for it. Remind yourself that nothing has changed. All the reasons you decided to move are all still true. You simply need to give yourself time to internally adjust to your new world. 15. Hire people to do stuff for you. What a joyful thought. You can now afford to have someone clean your house every week, or even every day. Don’t like yard work? hire a gardener to do it for you. It is pretty affordable. But it does have its challenges. If you aren’t used to people making your bed and washing your dishes and clothes, it can take some adjustment. You may feel guilty or uncomfortable allowing others to do those things, especially if you are just hanging out while they are working. Think about how you will feel about lifting up your feet for someone to sweep under them while you are hanging out reading or chatting or watching TV. It can take some getting used to. Then, there is the issue your maid putting your stuff somewhere you would never ever think of putting it. Breathe. It works best to simply learn where has decided your shoes should live. It is best to roll with these quirks of your workers. Focus on the big stuff, like learning about Panama’s employment compensation regulations, including social security payments. Read more about hiring people in Panama. 16. Loud music is a part of life here. Stores will blast stereos in an attempt to grab your attention. Parties especially have loud music. I have been to a number of parties in Panama where the music was playing so loudly it was impossible to talk to anyone. A general chaos of noise is tolerated here. Once I was in a restaurant where both the stereo and the TV were blaring. I had to ask them to turn off the TV. We were their only patron so it was easily asked and complied with. But in general be prepared for loud music. This is something to keep in mind when deciding where to live. If you choose to live in a dense neighborhood, you may have to deal with loud music, especially if your neighbor decides to throw a party into the wee hours of the morning. 17. You will see lots of litter. It is common in Central America. 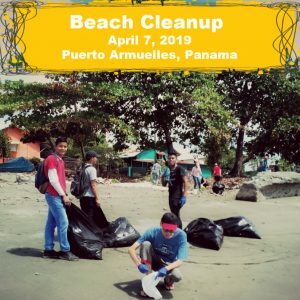 Many expats visiting Panama will express their astonishment over the amount of garbage strewn on streets and beaches. Personally, I have seen many people simply drop their juice container or plastic bag on the ground when they had finished with them. In some neighborhoods in Panama City, people will pile their garbage in one spot, as if it were a collection spot, but it is not. The good news is that the anti-litter forces are growing. 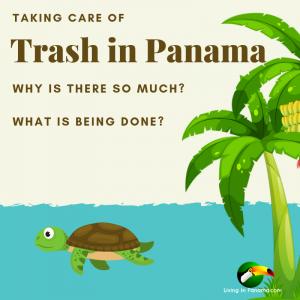 In general, there has been a gradual change of attitude about littering in Panama. You will find more and more signs posted that admonish people not to litter. And more garbage cans are being installed in public places. Panama City has bought new garbage trucks and is increasing its collection range. A friend of mine in Puerto Armuelles says that when her local school gave prizes for cleanest yard the whole neighborhood quickly became cleaner. The kids were bringing home the anti-litter lessons from school, and telling their parents. And thankfully, the parents started picking up litter too. And it seems that more and more people are coming together to pick up litter. Maybe you will decide to keep your street or beach clean, and encourage others to do likewise. There has even been a growing push to recycle. I’ve started to see recycling bins in public places in Panama City, Penonomé, and David. 18. Stay in contact with friends and family back “home”. Separation from family and friends is frequently cited as the hardest part of living in another country. Fortunately, technology has made it easy to keep in touch. One good way to easily keep in contact is to have the important people in your life download at least 2 of the following apps to their smartphone. Whatsapp is the texting/calling app of choice for almost everyone in Panama. 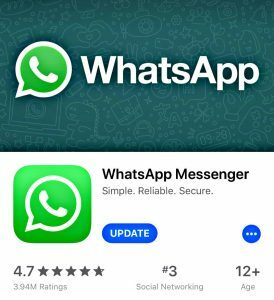 WhatsApp allows you to call and text other people with WhatsApp for free. You do need an internet connection to use it, as you do for all such technology. For live video communication, Zoom, Google Hangouts or Skype are good options. I especially like Zoom and Google Hang outs. If you are all iPhone users you could simply use FaceTime, which comes preloaded on all iPhones. I encourage you to figure out how you will keep in touch before you move to Panama. Explore all the apps to discover which works best for you and your friends and family. Find out more about cell phones in Panama. 19. Religion in schools. Religion is a part of the school system here in Panama – for both public and private schools. So, if you have school-age children, be mentally prepared for this. Whether you think religion in schools is a good idea or a bad idea, there is no escaping it (unless you homeschool). 20. The customer is NOT right in Panama. You cannot expect to get the same level of customer service in Panama that you are used to back home. Of course, sometimes you will get great service in Panama. But it is best for everyone if you don’t expect it. Customer service is particularly bad at restaurants and retail stores. Service can sometimes be slow and seemingly unfriendly. I think it is a cultural thing, graciousness is not necessarily emphasized in Panama. It is not that they mean to be rude, it is just that they don’t consider their actions rude. It is only rude through the prism of our culture. Of course, that doesn’t make it any easier or less frustrating to deal with. The real problems begin if you start to make a stink about it. If you thought that you had bad service before, you will most likely get worse service if you insult your server. Keep in mind, bad service is not limited to restaurants and retail stores, you may also get it from businesses and governmental offices. If the electricity will be turned off because they are working on the lines, don’t expect any notification. They will just turn it off. It is usually only the expats that get up in arms about this behavior. The locals just shrug it off. The same is true of small businesses. For instance, if you hire a contractor they may show up late, or maybe not at all. They will not contact you about this. You can treat the lack of good customer service as as minor annoyance or let it drive you up the wall. Most people adjust, but if you cannot, maybe Panama is not the right choice for you. 21. Need to make money? Come with a plan. If you are coming to Panama to retire on a fixed income, then this will not apply to you. But if you need to make money in Panama, it’s important to have a good idea of how you will make a living to support your lifestyle in Panama. Coming to Panama without a plan of action often ends in disaster. 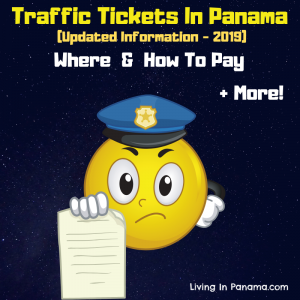 You may want to check out my articles about making money in Panama for more advice. Think you will find a job here? Then you need to know that local salaries are low. Most jobs pay less than $1000 a month. Is that a workable budget for you? Of course, if you can find a multi-national or US company, with an office in Panama to hire you, you will likely get paid more. You are unlikely to find a company to hire you and sponsor your work permit, unless you have a valuable skill to offer. Getting you a work permit costs them both time and money. 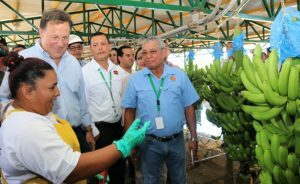 In addition, the number of foreigners a company can hire is limited; most companies can only have 10% of their staff be non-Panamanian. Also, if you are coming down here on job offer from a company, make sure to do some research first. Make sure that the company is reputable and that other expats have had good experiences working for them. You don’t want to move down here, only to find that the job evaporated or the work permit never comes through. 22. Pay attention to your instincts. All your online research and calculations cannot substitute for the your gut reaction to being in a place. It is important to do research, but it won’t give you the whole story. I strongly recommend you visit Panama, especially the parts of Panama that most interest you, sooner rather than later. You will save yourself alot of time and emotional energy that way. Get more information on moving and living in Panama. Sign up for our monthly newsletter. 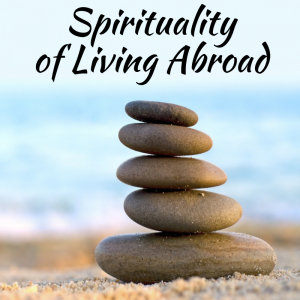 Our experiences, including being reminded of good tips by reviewing similar lists made by Kathleen Peddicord of Live and Invest Overseas and Chris at Panama for Real.